The Curtis throttle assembly provides an analog 0-5V output proportional to throttle position for interfacing with motor speed controllers. This electronic throttle is ideal for use in material handling, golf cars, on-road and other electric vehicle applications which require a 0-5V input for speed control. Curtis Model FP foot pedals are designed and manufactured to achieve unprecedented reliability in off-highway vehicles. 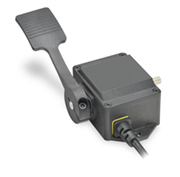 Curtis foot pedals provide a wide variety of mechanical solutions and easy integration with Curtis motor controllers. 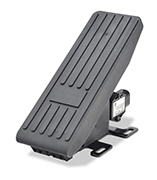 Curtis Model FP-10 foot pedals are designed to be a reliable, safe and easy-to-install throttle for industrial battery powered vehicles. Model FP-10 offers dual return springs with fault detection on those springs to allow throttle fault detection as well as the ability to implement a “limp-home” mode. 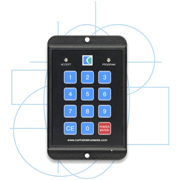 The Electronic Code Switch is designed for safe machine control and to help prevent unauthorized access of the machine. If a machine is taken out of service, it is possible to block all functions except for the master code to reactivate the device. The Electronic Code Switch is ideal for: forklift trucks, tow tractors, golf carts, IC engine vehicles, stationary equipment, pedestrian vehicles, aerial platforms, plant hire, sweepers, agricultural equipment, turfcare equipment, and Scooters. 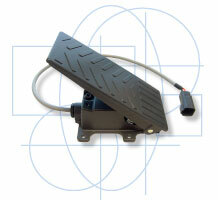 A high specification foot pedal throttle assembly, ideal for tough environments like material handling. Ideal for use with Curtis motor controllers. Fork trucks, golf carts, hybrid electric vehciles. Model WW is a long life 0-5kΩ wigwag throttle which provides an output for motion in both directions. The conductive plastic element in conjunction with unique wiper and shaft support design provides a durable throttle with longer mechanical cycle life. Curtis Model WW is specifically designed for mobility aids applications which utilize a wig-wag throttle. Curtis Steering Sensor Units replace conventional steering columns on steer-by-wire electric power steering systems. 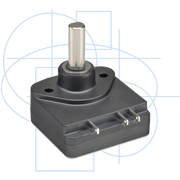 They are fully integrated electromechanical units consisting of a shaft, bearings and sensors. Steering Sensor Units convert the mechanical movement of the steering wheel into a dual-redundant electrical signal that provides steering wheel position, steering speed and direction data to the steering control system. Curtis Steering Sensor Units are ideal for industrial off-highway vehicles using steer-by-wire electric power steering, such as material handling reach trucks and orderpickers, airport ground support, construction vehicles and sweeper scrubbers.